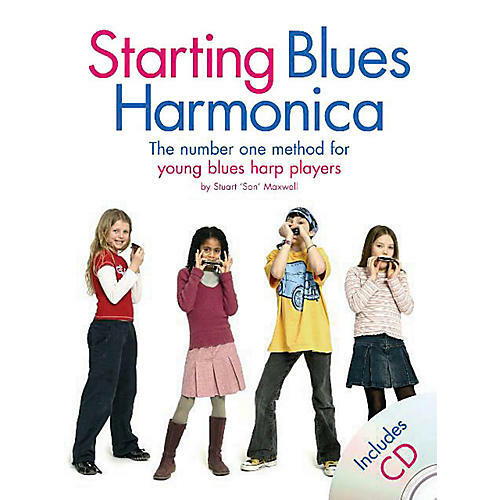 Created with young players in mind, this enjoyable introduction to harmonica enables you to get started, and get playing straight away. Listen to the professionally recorded, live band demonstrations on the CD, practice the pieces from the music book and then play-along with the backing tracks! A clear presentation, fun pieces and intuitive learning, all combine to make a complete learning tool. As you gradually become familiar with different harp techniques, you'll progress from playing single note and chords to performing proper blues pieces, bends and all! Dozens of pictures and diagrams help make learning fun and progress fast. So, if you are a young blues musician, Starting Blues Harmonica is the method for you!